My name is Leah. I'm 20 years old and I was diagnosed at the age of nine with a a rare form of Muscular Dystrophy called Mitochondrial Myopathy. 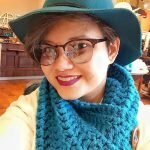 I'm a former MDA Regional Ambassador and have recently started my own blog. My disease affects my energy levels and I can not get through the day without my wheelchair and taking naps.